The Outdoor Classroom, also known as Slavia Village, is a unique part of St. Luke’s Preschool. This designated area was designed to give children a natural environment to freely explore in, as well as an alternate space for learning. Unlike other outdoor classroom models, which are added to playgrounds or associated with recess time, ours incorporates all of the interest areas of an indoor preschool classroom, but in an outdoor setting. 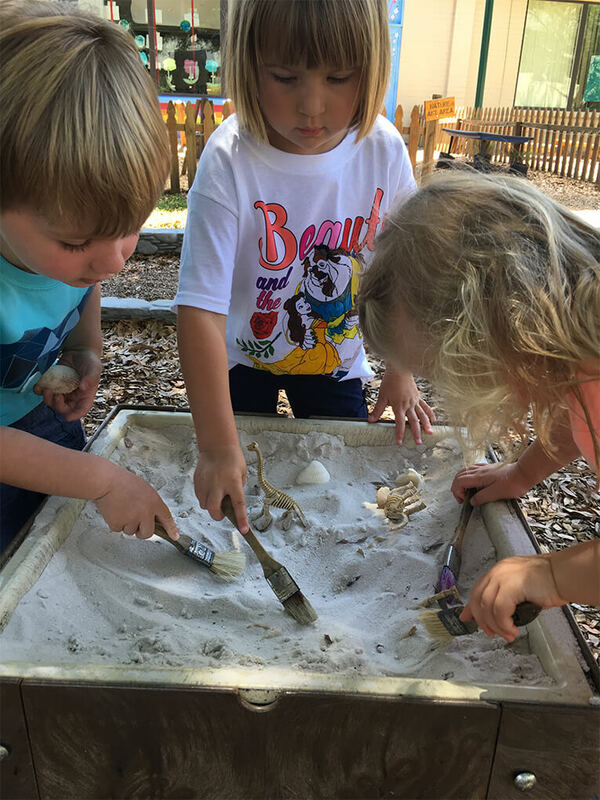 Each preschool class visits the Outdoor Classroom once a day, spends time in about 3-4 interest areas a week, and follows a set curriculum for each month. Kindergarten also takes advantage of the Outdoor Classroom three times a week. This time spent outside is crucial to each child’s development, especially in this technologically advancing society. I recently returned from an outdoor classroom conference in Nebraska City, Nebraska, called The Leadership Institute, which is run by Nature Explore and The Outdoor Classroom Project. We were able to hear from numerous individuals about their outdoor classroom spaces and ways we can improve and incorporate new ideas to our own Outdoor Classroom. It was inspiring to be surrounded by so many educators who believe in this movement to get children outside more often. Research has shown that when children are able to go outside to play and explore freely in nature, they show signs of decreased stress levels, improved behavior and an overall sense of joy and peace. 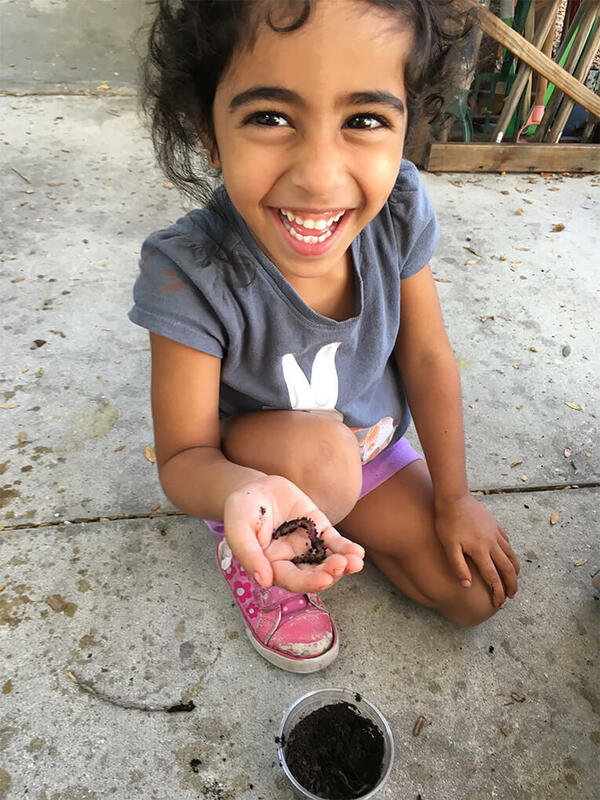 The Outdoor Classroom here at St. Luke’s is such a special part of our preschool and we are proud to offer this as an everyday experience for all preschoolers, kindergarteners and staff!